Hill worked the last six seasons with the Marlins and has served as a coach at the big league level for 23 years. The Mariners moved closer to finalizing their 2019 coaching staff. Tuesday afternoon, the organization finally announced what had been an expected and reported move — the hiring of Perry Hill to serve as the team’s first base and infield coach. Chris Prieto, who served as first-base coach last season, will move to third-base coach, replacing Scott Brosius, who opted not to return to the organization. Seattle must still hire a hitting coach to replace Edgar Martinez, who transitioned to the role of organizational hitting instructor. Sources have said the Mariners are trying to finalize a deal with Tim Laker, the Diamondbacks assistant hitting coach, to fill that position. 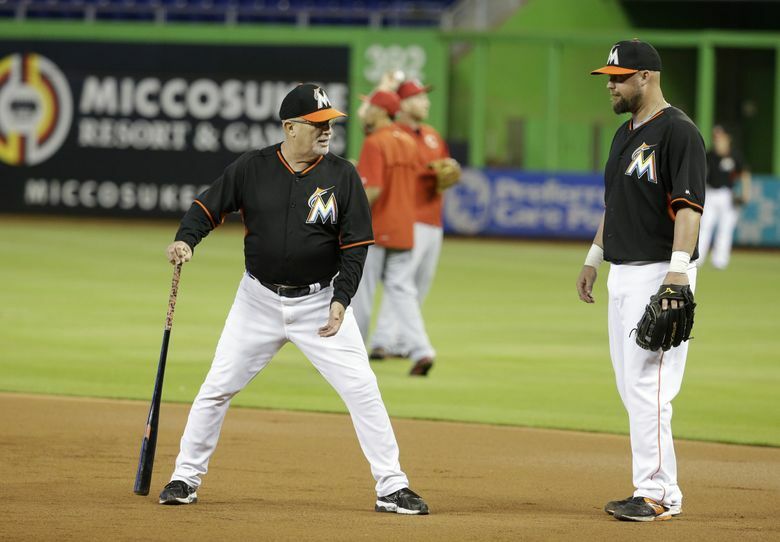 Hill spent the previous six seasons with the Miami Marlins in the same role of first base and infield coach. In his professional career, he has coached Rawlings’ Gold Glove winners at all four infield positions, including current Mariners infielder Dee Gordon in 2015. The other winners were Luis Castillo (2B, Florida, 2003-2005), Mike Lowell (3B, Florida, 2005), Derek Lee (1B, Florida, 2003) and Orlando Cabrera (SS, Montreal, 2001). Hill has worked for 23 years as a coach at the major-league level and 32 years in professional baseball. In addition to Miami, Hill has been a coach with Texas (1992-94, 1995), Detroit (1997-99), Montreal (2000-2001) and Pittsburgh (2009). And it’s something he’ll continue to teach going forward.